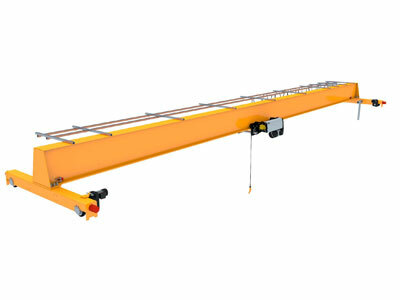 HD electric single girder bridge crane represents a high-level lifting equipment that adopts unique design concept and the latest technology. 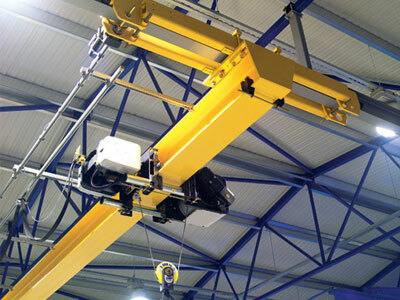 This advanced overhead crane can be applied in mechanical manufacturing, metallurgy, power plant and other industries to handle large and heavy materials, especially suitable for occasions that require accurate positioning or precision assembly for large parts. 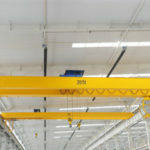 The European standard single girder crane is equipped with ND wire rope hoist to lift a large amount of weight, usually in a range of 3.2 ton to 16 ton. 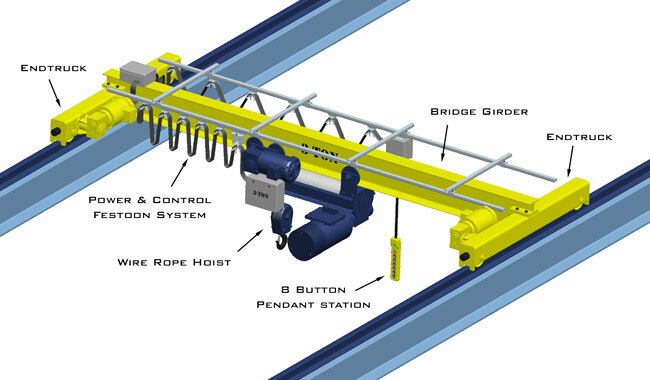 The bridge crane design conforms to international standards including DIN, FEM and ISO. The most distinctive feature of this single girder bridge crane is compact structure that provides small size, light dead weight and small wheel pressure. 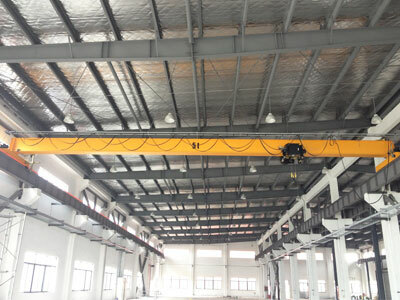 This overhead lifting equipment provides a lower headroom and greater lifting height than conventional single girder crane, and it also offers minimum limit distance from hook to the wall, increasing the effective workspace of the existing facility. The crane adopts quality and high-performance components so as to provide reliable and durable performance as well as prolong the working life. The additional cost during use will be reduced to the minimum. 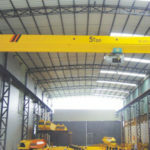 Due to light weight and small wheel pressure, the investment is pre-projects such as steel structure building for supporting the crane can be reduced as the facility can be designed into a smaller size. At the same time, the costs of lighting, heating and maintenance will also be decreased. 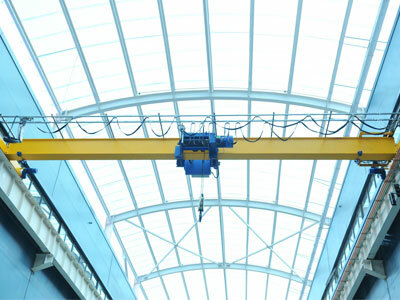 It has more delicate appearance other overhead cranes. Bridge – the beam construction adopts Q345B steel plate that takes a pretreatment of shot blasting. 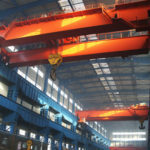 The main beam and end beam are connected by high tensile bolts. Hoisting mechanism – the modular design provides convenient installation and maintenance. Running mechanism – three-in-one motor is employed and the protection grade is IP55. Electric control box – the surface takes anti-corrosion treatment; reasonable layout makes it easy to maintain; the control box is sealed well. Cabin – it offers flexible operation, wide vision and easy maintenance. 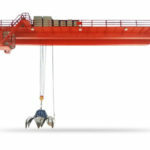 The critical components of overhead crane are all sourced from reputable and dependable suppliers. 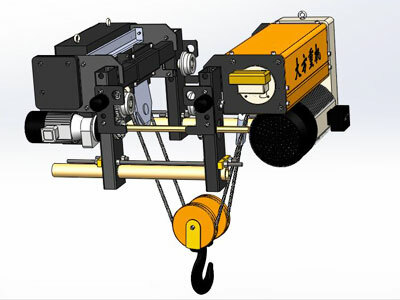 Here are some options for HD single beam crane configuration. Traveling motor: ABB or SEW motor. The SEW geared motor is available in B, F and H class insulation, protection grade IP54, IP55 and IP65. Electric system: Schneider electric and inverter. 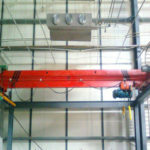 Wire rope hoist: Burton, Kobelco or Verope wire rope. Wireless remote control: the protection grade can be IP65. Protection devices: overload limiter, lifting limit, mechanical anti-collision device, overheating protection and brake safety protection. The other option for crane parts is that all these components are sourced from our nationally renowned brands, which actually are less expensive, but the quality can be assured. 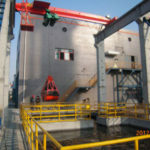 Therefore, it can be an economical option for crane users who focus much on cost effectiveness. To learn more about HD single girder bridge crane, please feel free to contact us.